TED.com supplies some helpful links to help answer your questions. Henry Fairfield OsbornCourtesy AMNH via Britannica.comToday marks the 157th anniversay of the birth of paleontologist and museum curator Henry F. Osborn. 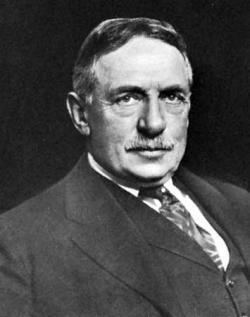 Born on this date in Fairfield, Connecticut in 1857, and educated at Princeton University, Osborn was degreed in geology and archaeology and paleontology, and also studied embryology and comparative under Thomas Huxley. He was also mentored by famed 19th century paleontologist Edward Drinker Cope. 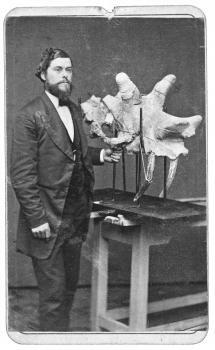 Osborn taught at both Princeton and Columbia before being hired by the American Museum of Natural History in New York City to head the museum's newly created Department of Vertebrate Paleontology and later serve as the institution's president. Osborn has the distinction of having named one of the world's most famous dinosaurs: Tyrannosaurus rex. Read more about H. F. Osborn here. Comet 67P/Churyumov-GerasimenCourtesy ESA/Rosetta/MPS for OSIRIS Team MPS/UPD/LAM/IAA/SSO/INTA/UPM/DASP/IDARosetta - a spacecraft launched over ten years ago by the European Space Agency (ESA) - finally reached its goal yesterday, aligning and syching itself up with the orbital path of a comet (67P/Churyumov-Gerasimenko) speeding around the Sun. During the course of its trajectory, Rosetta utilized the gravity of both Earth and Mars in several slingshot maneuvers to accelerate and help hurdle the spacecraft toward its destination. 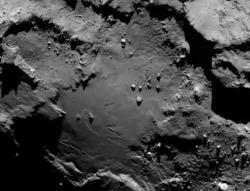 The comet is traveling toward the sun at 34,175 mph. After a high-speed chase across nearly 4 billion miles (6.4 billion kilometers) of interplanetary space Rosetta had to slam on its brakes over the past to months to reduce its speed (relative to the comet) to just under 2 miles per hour. "This arrival phase in fact is the most complex and exotic trajectory that we have ever seen," said Jean-Yves Le Gall, head of the French Space Agency CNES. Close-up of comet 67P/Churyumov-Gerasimen's surface: Rosetta will send a lander to the surface in November.Courtesy ESA/Rosetta/MPS for OSIRIS Team MPS/UPD/LAM/IAA/SSO/INTA/UPM/DASP/IDAThe spacecraft will spend the next year or so collecting data and photographing the comet which is roughly 2 miles in diameter and shaped somewhat like a duck. Comets are thought to be composed of the same nebular material present when the Sun and planets first formed more than 4.6 billion years ago. 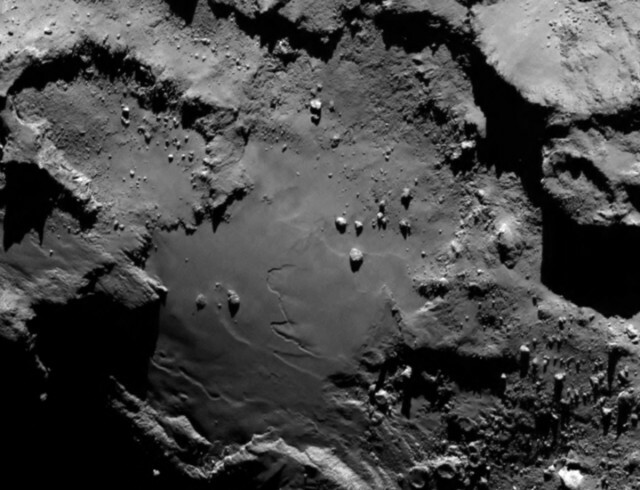 Rosetta will help increase our knowledge of the solar system's beginnings. 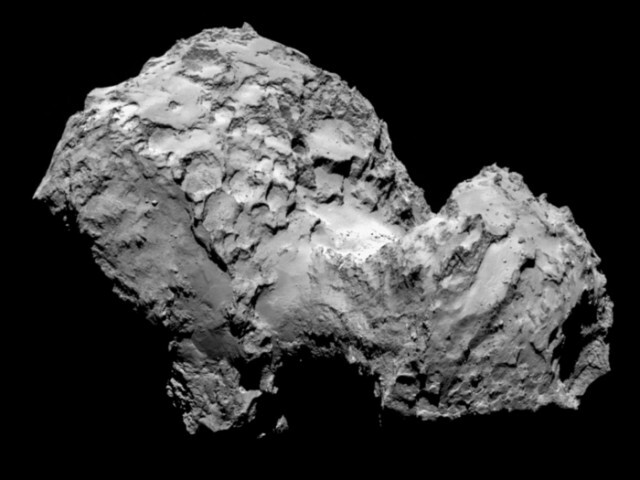 This coming November ESA engineers will command Rosetta's lander, Philae, to set down on the comet's surface to collect even more data, a feat never before attempted. That will certainly be worth watching. Bison painting at Altamira cave in Spain: Is it not amazing that we can instantly view on our computers this digital image of a bison painted 22,000 years ago by some unknown Paleolithic artist in a Spanish cave located 4300 miles from St. Paul, Minnesota? 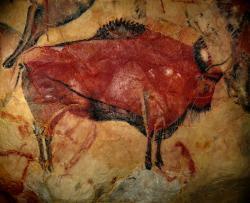 Just an observation.Courtesy Public domain via WikipediaAfter being closed for a dozen years, officials at the famous cave at Altamira in Spain - known for its wonderful prehistoric paintings - have once again been allowing the public to view its fantastic painted images of bison, horses, and other imagery created by unknown artists some 22,000 years ago. 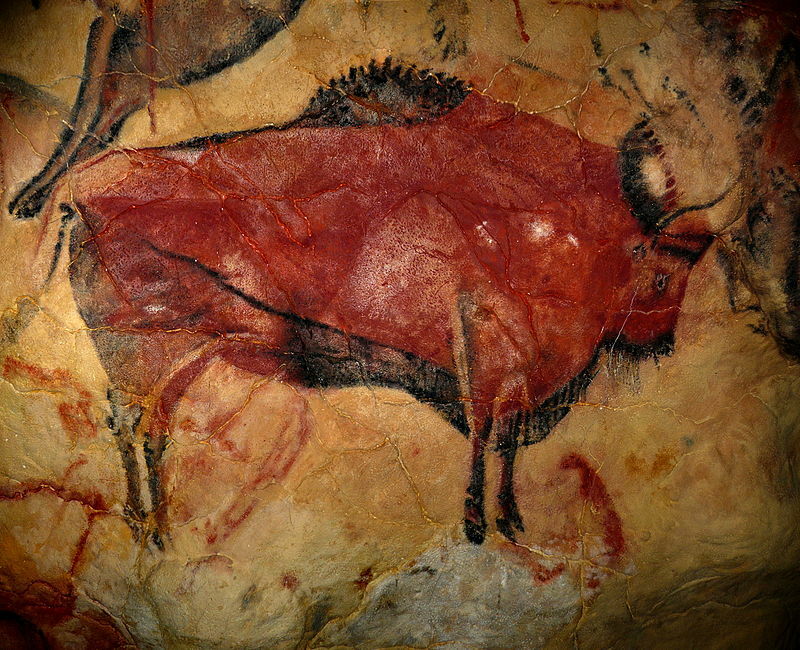 The state-owned Altamira is subsidized by Spain's Culture Ministry, and testing has been in the works to determine whether limited visitors would have damaging effects on the rare prehistoric art. Random visitors to the site are selected by lottery and suited up in protective clothing before entering the cave. Test-run entries has been going on regularly since February. The cave was discovered in 1879 by amateur archaeologist, Marcelino Sanz de Sautuola. Visitors swarmed to view the discovery until officials closed it a hundred years later so scientists could study the effects of exposure to human traffic. It reopened for a while but only with limited access. It closed again in 2002 after mold was spotted forming on some of the walls and paintings. A museum containing exact replicas of parts of the chamber and artwork were built near the cave entrance where visitors could experience the wonders of the paintings without fear of damaging them. The replicated experience has been popular with tourists (a quarter-million visitors per year) but, as some complain, the experience just isn't the same as seeing the real thing. “It is the kind of difference in emotions that we might feel when we look at a painting of Rembrandt or the sunflowers of van Gogh but are then told that the paintings are in fact fakes,” said Altamira museum director, José Antonio Lasheras. The last group of lucky participants will be allowed into the cave later this month and results of the testing is scheduled to be published in September. Katmai National Park and Preserve in Alaska has several webcams set up to watch wildlife activity within the park. At the moment, the Brook Falls Bear camera seems to be the one to watch. Brown bears can often be seen during daylight hours fishing for sockeye salmon at the foot of the falls. A couple bruins were doing just that when I first checked it out. There are also some other links to webcams where you view the Alaskan wilderness. If you want to expand your view of the world, check out explore.org, a world-wide philanthropic and educational organization that partners with the National Park Service and other organizations, and contains even more live cams, films, photos and blogs from various sites around the world. 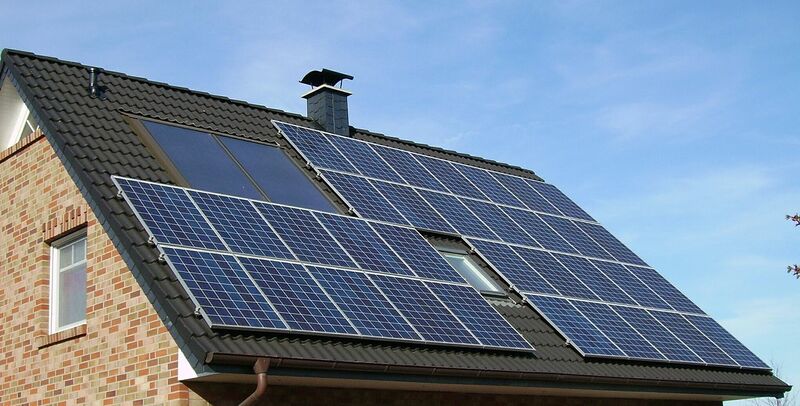 Sunshine test: How strong is solar power where you live? Sun power: A new online mapping system tells you how strong the solar energy is where you live in Minnesota.Courtesy PujanakHave you wondered how strong the sunshine is that falls near your home for solar power purposes? A team of University of Minnesota graduate students has mapped the solar suitability for locations all across the state. You can search it like a Google map and find out the power of the sunshine where you live. Edward Drinker Cope: 19th century cabinet card photoCourtesy Public domain via Mark RyanToday marks the anniversary of the birth of Edward Drinker Cope, American naturalist and paleontologist born 174 years ago in Philadelphia. A child prodigy, Cope had little formal training in the natural sciences yet became very noted in several fields including herpetology, paleontology, and comparative anatomy. He published over 600 scientific papers during his lifetime, and described and named over 1000 prehistoric species, including several dinosaurs. 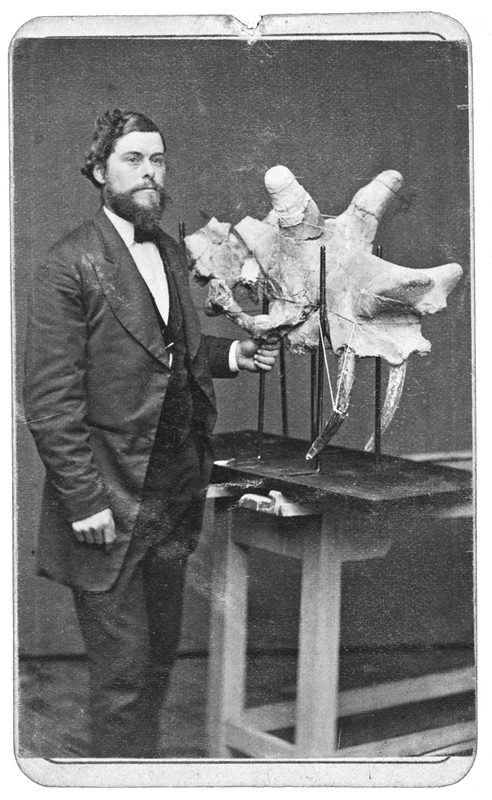 Cope and his former friend, Yale paleontologist Othniel C. Marsh, became bitter rivals and were the principal generals in the famous "Bone Wars" that took place in the field of vertebrate paleontology from the late 1870s until their deaths in the late 1890s. Cope's huge 1000 page and wonderfully illustrated tome, The Vertebrata of the Tertiary Formations of the West is known as "Cope's Bible". Last week oil company passengers flying in a helicopter spotted and videotaped a mysterious crater located in a remote area of northern Siberia. The crater which measures 80-100 meters across, seems to have appeared over night. Authorities have puzzled over its origin, and once the video appeared on-line, wild speculations flared up across the Internet regarding its origin. Did a meteorite create it? Is it the site of a crashed alien spaceship? Could it be another Tunguska event? Or a sinkhole? Or simply the result from a huge release of natural gas? A group of Russian scientists from Russia's Academy of Science and the State Scientific Center of Arctic Research finally reached the extremely isolated location on the appropriately named Yamal peninsula (Yamal means "end of the world"). The peninsula is home to reindeer and indigenous reindeer herders but sets atop a vast natural gas reservoir which means a gas belch might be the most likely cause. One of the scientists, Anna Kurchatova from the Sub-Arctic Scientific Research Centre, speculates that climate change and warming climate may be causing the permafrost in the area to melt and become unstable, and in the process popping like a Champagne cork under the high underground pressures. But the researchers won't jump to any conclusion; they've been busy examining the sudden phenomenon, scaling its walls, measuring its dimensions, and collecting water and soil samples. Satellite images will also be examined to see if the exact time of origin has been captured by orbiting cameras. It will be interesting to see what their study reveals. I'm going with the internal forces theory - some sort of fiery gas burp probably caused it. In the meantime, the scientists have also been taking lots of photographs at the site, which can be viewed on the Siberian Times website. Every summer, we get to see incredible photos of massive mayfly hatchings somewhere along the Mississippi River. This year, however, a huge sudden hatching was captured on the National Weather Service radar based in LaCrosse, Wisc. Click through the link to see this incredible phenomenon. First lunar landing: Apollo 11 astronauts landed on the Moon on July 20, 1969.Courtesy Mark RyanI remember clearly where I was on this historic day, July 20, in 1969. At around 3 o'clock in the afternoon, I was sunning myself on a public beach on Park Point in Duluth, Minnesota when astronaut Neil Armstrong's voice came over my trusty transistor radio to announce that "The Eagle has landed". Apollo 11's Lunar Module (LEM) had set down and mankind had successfully landed on the Moon! In this post-space shuttle, unmanned, watered-down era of space exploration, it may not seems like such a big deal now, but back then, during the Apollo Program era, it was a truly monumental and remarkable feat to witness especially when you consider it took less than ten years to accomplish from the time President Kennedy had challenged the nation in 1961. Later that evening, like most of the world, I watched Armstrong and Buzz Aldrin, take those amazing first steps and explorations of another celestial body in our universe. For a couple hours at least, while the two astronauts gathered rock samples and set up experiments, our often contentious species was able to put aside all our terrestrial troubles (and there were many at the time) and focus as a unified human family on a single, amazing achievement. When they had completed their historic exploration, Neil and Buzz re-entered the LEM and lifted off to rejoin fellow astronaut Michael Collins in lunar orbit in the command module Columbia, and returned safely back to Earth. The Moon continues to dominate our night sky and I'm certain we'll travel there again sometime in the future, but those return visits will never be able to equal the excitement and awe felt when mankind first landed there in the tumultuous midst of the 20th century.